'Ohh this dungeon is creepy' *Clink* *SLAM* *SPLAT* - Dead. These situations are annoying enough without ending up half an hours worth of game time backwards purely because you forgot to save or because the game offers no decent auto-save feature. It's likely something every gamer has experienced at least once or twice and many gamers probably have this happen to them more times than they'd like to admit and it's a hell of a pain. After playing a few different games recently I've noticed the multiple different methods games implement auto-save features. Some are a pain, some are brilliant and some don't even have it! so I'm going to have a look at those I prefer and why. Firstly Bethesda's system in their RPG's. This system saves the game when entering a new area, it doesn't matter how far in the area you are it will just save at the start of it. While this is a nice method on an easy difficulty, when playing on a harder setting this can be a huge pain. You can spend a good half hour progressing through a cave/vault/barrow barely surviving and then something you aren't prepared for hops out and kills you, effectively wiping the last 30 minutes of progress. Like I said on an easy setting this is great (because to be honest it's quite tricky to die on easy in both Fallout & Skyrim in my opinion), but when playing on Very hard/Master you need to get in the habit of quicksaving... like every couple of minutes. Fun eh? 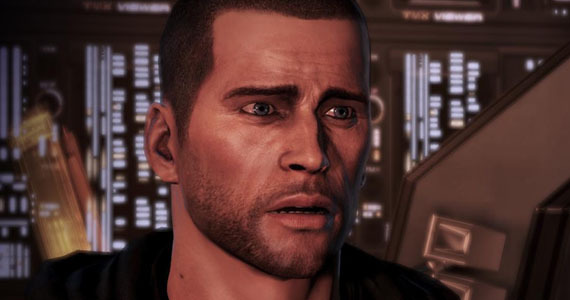 Shepard's Game just crashed. He hasn't been quicksaving. The second system that bugged the hell out of me was Mass Effect 1's auto-save system. To me the points where this would save seemed completely random. Sometimes it would save at certain defining points in the story and at others it wouldn't. Occasionally it would save when entering a new area, but again, other times it wouldn't. I probably lost around 2 hours on my first playthrough purely because I wasn't quicksaving as often as I could and didn't realise how far back the previous auto-save was. However in Mass effect 2 & 3 this issue was resolved with frequent autosaves which was a very pleasant surprise. Kingdoms of Amalur: Reckoning also includes a nice and frequent autosave system similar to the frequency in Mass Effect 2, however due to dying rarely in that game (I only played it on normal so far) it's hard to tell if the saves were frequent or I just didn't notice a bad disparity due to a lack of deaths. Many older games don't even bother with auto-saves and even go as far as only having designated save points... that's right final fantasy, I'm looking at you. Now I'm not sure if this is still the cas in FFXIII and FFXIII-2, but in all the older titles, you are required to visit a save point to save. This isn't as annoying as you would think, purely because it is such an established mechanic in Final Fantasy, and your play eventually compensates for it, e.g. making sure you are stocked up on potions and your group is healed, taking breaks when you get to save points etc. Many genres of games don't implement autosave whatsoever, RTS games such as Battle for Middle Earth rarely include such a feature in their single player campaigns however death isn't as sudden in these types of games and you can predict when saving is necessary, I guess it would also be hard to define when a good point to save would be in these types of games. Some RTS games do include it but to me it seems like an unnecessary feature in this genre. In my opinion Autosaves should be included in Action RPG's and FPS games, and they should be frequent. they are only really needed in games where death can be sudden an unexpected, Turn based and many Japanese RPG's will usually put a save point before dangerous bosses anyway. It's good to get into the habit of quicksaving frequently or just saving but with many games I could go without the tedium. You're totally right on the Mass Effect thing! Twice now, I've made the mistake of not saving right outside the mine where you find Liara, because I figured the auto-save took care of it. It takes like 15 mins to get from one end to the other via Mako, if you hurry! Ever had one of those unfortunate auto-saves though? I think it was in Battlefield 3 recently where I had an autosave after I arrived in an intense battle, and I got shot right after. Reload autosave, get shot again. Etc. Haha,yeah, I guess I forgot about those! Happens more to me when I accidently quicksave though. Had a situation like this in fallout which was rather annoying.